Thanks to Alec and Rod…. …And many thanks to Sharon, Kathryn, and especially Lynne for their donations and happy new year to all! 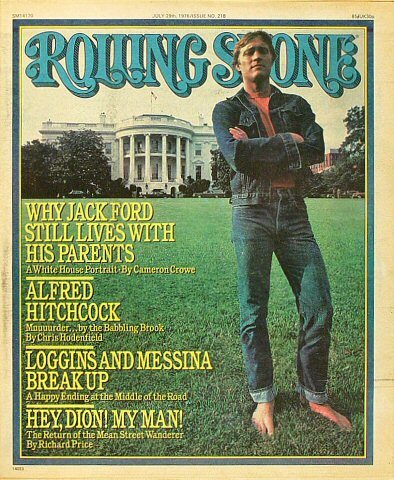 By the way, feel free to suggest any other old White House magazine issues. The Internet is amazing. I’m telling you, this thing is going to be big. Visitor Alec sent me photos of a tiny government publication from 1995 called Architecture of the West Wing of the White House. He made modifications to the c1911 diagram to make it a more authentic 1909 diagram, and I used the photos he sent to create a 1935 diagram from the 1945 one. Other photos confirmed Pete’s current floor plan. See the First Floor of the West Wing History page. Annual koshering of the kitchen with a twist I haven’t seen before: covering the hanging pots. The president’s rather casual portrait for the National Portrait Gallery (not his official White House portrait, which will be painted later). I’ve finally managed to produce a high-quality version of the animation of Pete Sharkey’s 3D President’s Park with narration by me. If you go to YouTube, you should see a little “watch in high quality” link in the lower right for best quality. The next step is naturally to go inside the White House, and with Pete hard at work on various rooms (have you seen Wingnut’s Workings lately?) the only trick will be making the transitions seamless. And then, if I can get Pete to create them: historical versions of the White House in 3D. Imagine flying over Lincoln’s or Jefferson’s White House…. I happened to catch part of The Situation Room on CNN that showed a short video of Dana Perino in her office. That’s the first I’ve seen of that scenario and yes, she uses the same rounded L-shaped desk I’ve come to know and love. Does Perino not do gaggles? Are photos not allowed in her office? She can’t be camera-shy…. Given her rather fabulous good looks*, you would think photogs would be crawling over each other to snap her picture in every venue. It also occurs to me that, judging by this photo, she is all of about 5 foot 2, so she’d have to do press gaggles in her office standing on a chair. * This site is apolitical, but not blind. The bowling industry has offered a proposal to renovate the bowling lane in the basement of the White House, the Wall Street Journal reports. Apparently, they hope to ensure the new president won’t make good on his jocular claim to replace the lane with an indoor basketball court, which met with serious offers from the NBA. This artist’s conception is a little garish, for my taste. C-SPAN’s White House Week seems to have gained a fair amount of attention. WHM site performance is quite slow (back up to 20,000 page views a day again). I’ll make a point of bringing the mirror up to date.